Offering small to medium sized businesses tailored solutions from reputable carriers at discounted rates. We offer UK, European and Worldwide document, parcel, pallet and freight services. Bikes, cars or vans - we aim to be at your door within 60 minutes of your booking, so you can rely on secure nationwide deliveries, seven days a week. Through our carrier partners, we offer secure door-to-door next business day deliveries across the UK, with time delivery options also available. Whether you have one, two or multiple pallets, a quarter, half or full, we have the partnerships to deliver them on express or economy service options. No matter where in the world you are looking to import from, we will find you the right carrier and service to meet your need, and at discounted rates. Take advantage of our discounted rates with the leading carriers to deliver your documents, parcels or freight to 220 countries. Our booking portal can also help you with your commercial invoicing. Working with a leading Lloyds Broker, we have the ability to quote for goods in transit cover for your consignments, either on a per consignment or annual basis. Our simple-to-use tool links with ecommerce stores including Amazon, eBay, Magento, PrestaShop, Shopify and Woo Commerce automating the shipping process, saving you time and helping to get your parcels out of the door as quickly as possible. If you're using a different e-commerce solution, or another order management system, you can upload CSV files or use API integration. Operating from a secure, modern warehouse, our local fulfilment partner offers storage solutions catering for pallets, cartons, boxes and individual items. You then send us the packing lists from your system(s) and we will pick, pack and dispatch your consignments using the most appropriate courier and service from our extensive network. We will also manage your inventory. We are a global courier and freight management franchise of InXpress. Since 1999, InXpress has helped small to medium sized businesses send and receive documents, parcels and pallets around the UK and between Europe and the rest of the world at discounted rates. We provide these services in conjunction with familiar national and international carrier partners who include DHL, FedEx, TNT, UPS, UKMail, Whistle, Palletways and City Sprint. They handle all the pick-up and deliveries, while we provide a personalised customer service and the invoicing. Our office in Romford opened in 2013 and through our dedicated customer care and our discounted rates, we are now an established and highly recommended choice for SME's in Essex, Central and East London and beyond. InXpress's broad panel of reputable carrier partners, coupled with its trading history, enable us to offer our customers an extensive range of domestic and international service options at discounted rates. Our tailored solutions save you time and money. Excellent customer service, even if you only ship occasionally. You get a secure, reliable, discounted service, multiple carrier options, tracking, a full paper trail and one clear, consolidated invoice. We make all this available through our web shipping portal, WebShip, with one point of contact. Opening an account only takes a few minutes. It's free and doesn't commit you either to a minimum monthly spend or shipping volume. Excellent customer service – no call centres! "It is a pleasure for me to write a testimonial for LETS and cannot praise the service enough. The team are very professional, efficient & extremely helpful. Receiving a personal service really helped me secure a very large account." "We have dealt with InXpress for many years and we have always been pleased with their service and the very competitive prices. We always find Eunice and Les very efficient. They organise our collections from the Far East, with speedy precision and see the tracking through until delivery. We wouldn't use anyone else." "Our experience with Inxpress has been nothing but positive since we started using them and I would recommend them to anyone. They go above and beyond for us, even when we are being hugely demanding! Lovely people and a pleasure to deal with. Inxpress have really taken away the hassle which sometimes comes with using big courier companies, one phone call to them and they're on the case straight away for us." "InXpress have provided our business centres with an excellent courier service that in turn was are able to offer our tenants. The on line booking system is easy to use and has proven very useful and cost effective. 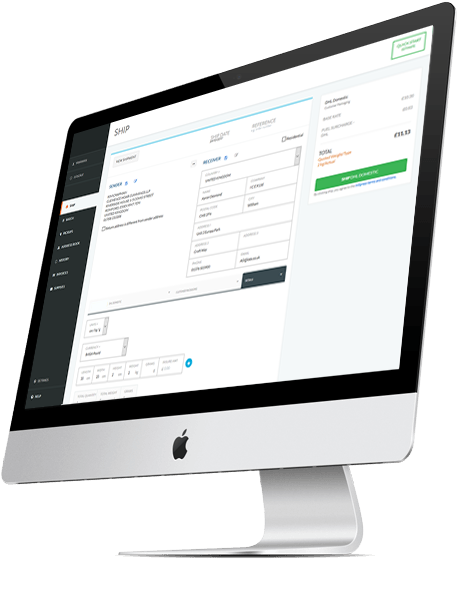 We also like to the idea of each Centre having their own system logon, while our Accounts department receives one consolidated invoice regardless of which courier we use. Martin and his team have been really helpful with setting us up using the service and have been great support to our staff ...... nothing is too much trouble!" "We have used the courier services of InXpress over the past 18 months and found them to be a perfect supplier. We have benefited from a reduction in our outgoing costs and their provision of an exemplary, totally professional service gives us peace of mind, especially as we are required to ensure safe delivery of legal documents to almost every country in the world, on a daily basis. We could not have wished for a better alliance and it is plain to see Martin always goes that extra mile for his clients." "Support and convenience are where our relationship with InXpress works for us. The rates are good as well. We appreciate their willingness to work with us, and often, reactively in order to meet late pallet collections requests to meet customer orders. We use a couple of carries through InXpress to meet our differing needs and our Accounts department like the idea of only having to process the one invoice. We're very happy." "NetOTC chose InXpress for its time and cost effective services. The InXpress team is always friendly, provides helpful advice and we can always rely on InXpress to safely deliver our confidential documents. We can also conveniently trace each package until it reaches its final destination, thanks to the accurate online tracking system." "KNIGHT IN SHINING ARMOUR. Every business needs people that they can rely upon, whether that's staff, colleagues, or those they outsource work to. Couriers are an essential part of our business, not in terms of frequency, but in terms of reliability. If you are going to entrust valuable documents to someone, you need to know they are safe. If you are on a deadline, you need to know that your courier will be on time. Not all of our requests have been straight forward, including things needing to be delivered abroad and at weekends. I can say without hesitation that InXpress have never let us down. Deliveries have always been on time. Everything has always been safely delivered to the right address and promptly. I would never use anyone else." By grouping the purchasing power of our customers, we can negotiate much lower rates with carriers, which we pass on to our customers. InXpress provides dedicated customer support, with our consultants seeking to understand your business better so they can find the right shipping solutions for you, to save you time, effort and money. InXpress also handles the invoicing, collecting all of your bills from all the freight carriers you ship with, to give you a single, consolidated invoice. Our carrier partners — eg DHL, FEDEX, TNT — will collect, handle and deliver your packages from your door to your recipient's. You could, but you'd be missing out. Because of our grouped purchasing power, we've negotiated lower rates than you could get on your own. We pass those savings on to you, our customer. You also get access to more than one carrier at a time, allowing us to match different carriers to your varying needs. We have great rates with our existing carrier, can you beat them? More often than not, yes. Thanks to our group purchasing power, we can get better discounts than most SMEs could get on their own. Just contact us and/or complete and return the Account Application Form. If I have a question about something I have sent, do I call the carrier? No, you call us, and we liaise with the relevant people on your behalf. This is a huge time saver for you in itself. If I want to import something, do I have to fill out lots of paperwork, or send emailed forms through every time? Not at all. Just give us the import information over the 'phone, or by email if you prefer. There are no forms or templates for you to fill in. Smaller parcels or consignments can also be quoted for and booked directly in WebShip. In the past, we have often experienced 'hidden charges' which we do not like. Will we get these with InXpress? If I want a quote for an international export, do I call InXpress to get the quote? Do you share my details with any other companies? Definitely not, all of your information is totally secure. When you open an account, you automatically get a credit account. No money is taken at the time of shipping. Instead, you can settle your invoice by direct debit, BACS, cheque or over the phone by card. Yes. In forwarding your login and password details for our internet shipping portal, WebShip, we will also include our handy User Guide. If you would prefer, we will also be happy to introduce you to the system in your office. We are of course always available on the telephone. Absolutely not. Opening an InXpress account is at our discretion and there is no commitment to a monthly spend or frequency of use. No matter how small or infrequent a user of courier and freight services you are, you can still benefit from a relationship with InXpress. Can you ship anything for us? Provided your consignment is not classed as 'dangerous or hazardous goods', pretty much yes! But you'll never know unless and until you call. Where can I find the Commodity Codes for my international consignments? When you book your shipment, you can find your Commodity Codes at our internet shipping portal, WebShip. For those occasions when we advise you, and you need to complete a commercial invoice, you can find Commodity Codes and Trade Tariffs at https://www.gov.uk/trade-tariff or by emailing [email protected]. Use the form (below) to make further enquiries about how we may be able to help you. Please note fields marked with * are required. All information submitted to this site will remain private and confidential at all times. We'd love to hear from you. Drop us a line or call us if you'd like a quotation or have any questions. © LETS Ltd 2019. All Rights Reserved.